Friday. A day of conquering fears, vampires, giant metal robots, scheduling, and werewolves. Friday morning saw Marty and I at a Night’s Black Agents game entitled “Stoker: First Blood.” It was set before the events of the book Dracula. We talked a little with the group with our DM running a few minutes late, but we plunged into the adventure. We were a group of British ex-patriots, military members, or academics, all drawn to a small Romanian town, trying to find a way to essential get the local rebels [REDACTED], and lead them towards formally asking for [REDACTED]. However, there was a murder mystery. A number of dead bodies were found in a cave. We leveraged local contacts, recruited [REDACTED], and made our way toward the cave. On the way we were attacked by [REDACTED] and avoided wolves. We then made it through the cave to a woman who turned out to be [REDACTED]. We ended the session defeating her and reporting about the existence of [REDACTED] to MI6, kickstarting the secretive project [REDACTED]. It was fun. However, being in the midst of planning my own campaign, I couldn’t stop thinking about how I would have run things differently. Marty had fun, though it still was not enough to alleviate his RPG itch. My post-apocalyptic RPG of choice. I then ran to a Mutant Year: Zero game. 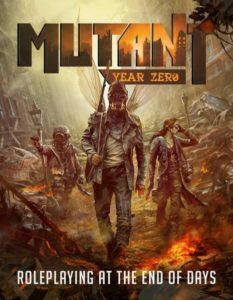 Mutant Year: Zero is one of Modiphius’ newer games, a post-apocalyptic, resource management, rules-light RPG. 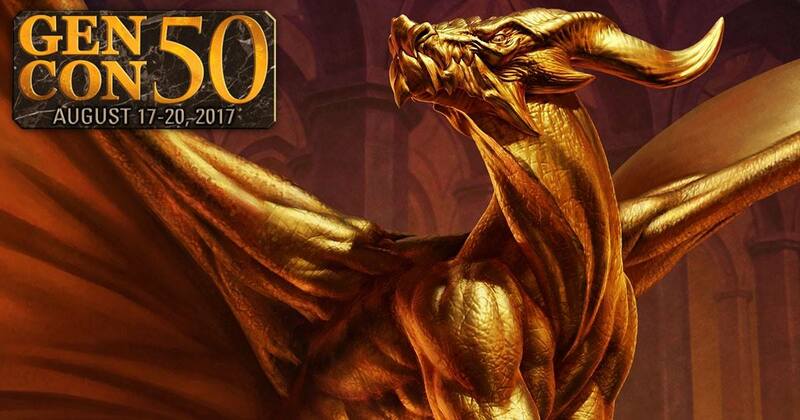 We have been playing a campaign for over a year now. I wanted to see how it worked when GM’ed by someone who was not Marty. Our GM was enthusiastic and fun, but I ended far more knowledgeable about the rules. My group leaned heavily into their roles, including when our Gearhead fixed a robot we had crushed in combat because “Robots are awesome!” We added to a book of notes from other groups being run through the same basic adventure, creating some sort of guide for future groups. All-in-all, it was quite fun, though it didn’t really show me a different way of playing the game. Could I do better than my zero wins from last year? I then ran to a writing panel – the first true panel I have ever attempted to attend at a convention. I was informed at the door that the room and time were both incorrect. I walked away, frustrated, as the panel that was going on in the room required a pre-registered ticket. Eventually, I made my way towards an event I was dreading. 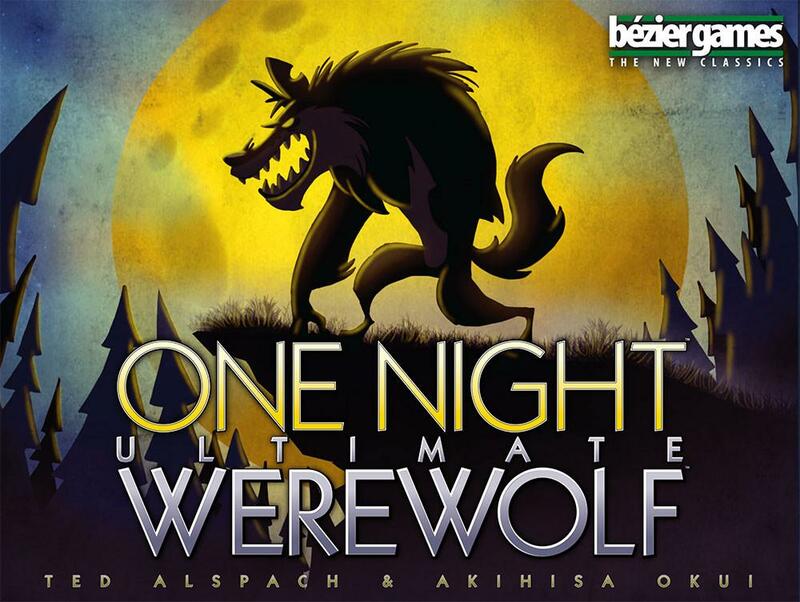 The One Night Ultimate Werewolf tournament. 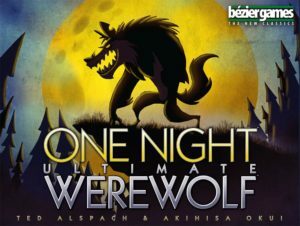 One Night Ultimate Werewolf is the hit 2014 social deduction phenomenon out of Bézier Games, Inc., which I had won a grand total of zero games of at last GenCon. I could not have been more wrong. 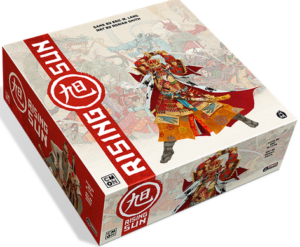 I immediately sat down with a group of people who were very cordial, including a man who had just won a early copy of CMON’s upcoming 2018 game Rising Sun, which has broken a number of Kickstarter records for board games. I defeated the person that won this earlier in the day. Apparently that did not mean he had to give it to me. We started off with a brief rules explanation, then we were on our way. I successfully got myself killed as the Tanner. We played again, and I successfully protected three people to my right, winning as the Blob. Then I won as the Blob again. I don’t know exactly what it means when your really good at being a Blob, but examining that idea too closely seems like a recipe for disaster. We switched tables, a village win. A loss as a lone Werewolf. 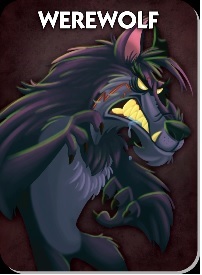 Finally, as a villager, I managed to convince the table to pick a Werewolf. Points were calculated based off of the number of victories and the type of victory. I made the Top Eight! I was in the finals! What followed can only be described as an incredibly frustrating round as the Tanner. I lost to better players, but this time I had fun (looking at you Coup)! The entire night was full of laughter, rowdiness, and gaming, just like GenCon should be. 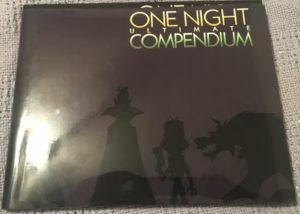 I won a small book of One Night strategy and theme explanation, which I had signed by Ted Alspach himself. The winner was a truly excellent player, who walked away with a $200 gift card. 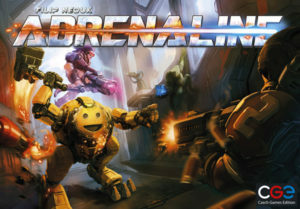 Kevin and I headed back to the hotel to meet up with some of his friends, where we were introduced to Adrenaline, a relatively new 2016 game out of Czech Games Edition. 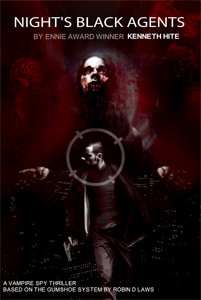 The game is meant to simulate a first person shooter deathmatch arena, where players pick up weapons, ammo, and powerups from various places on the board. Players score points for killing other players, but also for having done the most damage to players that die. The theme of the game brought me in, much of the art and weapons are reminiscent of Blizzard’s enormously successful computer game Overwatch. The game play, however, was slow and laborious. All of us found it tedious to play through the game. Perhaps adding a timer to player turns or some mechanism that forced quicker play could help. We found the game had a great basic idea, but failed to deliver on its premise. We spent most of the time waiting for other players to move through their turns. I cannot recommend this game, but I want other designers to play around in this space. I have no idea how to play this. Kevin’s friend decided he did not want to fly his Blood Bowl game home. I offered to take it off of his hands. 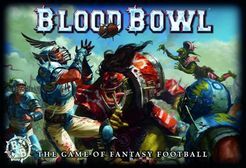 He agreed and now I am the owner of Blood Bowl, a game I know little about and less about how to assemble. But it was free! That is by far the best value for your dollar you can possibly achieve. My Friday had improved my mood drastically, as better RPGs, tournament results, and spending time with friends tends to do. However, a nagging disappointment remained in my mind. I had not accomplished several of my goals for the weekend. No Blood Rage exclusives, no Harry Potter expansion. 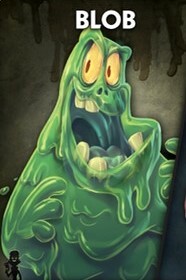 Imagine my surprise when Kevin unveiled the Monster Box of Monsters Expansion he had managed to purchase that day even though USAopoly had been selling out every morning. Suddenly, the impossible was possible. Hope flared a healthy spark within me. For Saturday morning, we made a plan. Especially not when you’re boiling with rage. TL;DR: [Redacted], Mutant Year: Zero, One Night, and friends are great. I found Adrenaline and unannounced panel rescheduling tiresome.